Wellcome Genome Campus Advanced Courses and Scientific Conferences is the only UK-based programme providing open postgraduate courses and conferences focused on biomedicine. We fund, develop and deliver advanced training courses and scientific conferences that span basic research, cutting-edge biomedicine and the application of genomics in healthcare. Working with internationally-renowned scientists and healthcare professionals, we run events at the Wellcome Genome Campus in Hinxton, a short distance from the historic city of Cambridge and home to the world-famous Wellcome Trust Sanger Institute and EMBL-European Bioinformatics Institute; and overseas in low- and middle-income countries. 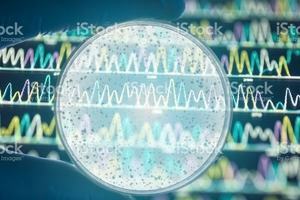 Around 60 events are organised each year attracting up to 3,500 scientists, from over 100 countries, and healthcare professionals to the Wellcome Genome Campus. Our courses are aimed primarily at biomedical research scientists, clinicians and healthcare professionals. 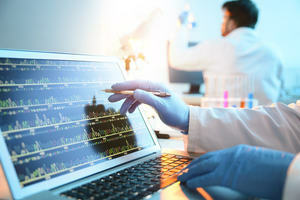 They focus on hands-on practical and interactive training in the latest biomedical laboratory techniques and data-analysis tools. The number of participants on each face-to-face course is kept low (typically 16-18 for laboratory courses and 20-30 for computational courses) to ensure that participants fully benefit from close supervision and interaction with the instructors (and each other). Each year a number of overseas courses are run outside the UK with the aim of building capacity in biomedical research and clinical communities in Latin America, Africa and Asia. These provide training tailored to regional biomedical communities in low- and middle-income countries. All courses are subsidised and additional bursaries are available for many events. We aim to educate, inspire and transform careers. Our scientific conferences foster discussion and debate at the cutting-edge of biomedical research, aiming to bridge the gap between basic and translational science. Conferences are hosted by the Wellcome Genome Campus Conference Centre, an exceptional conference venue that is a key part of the Campus’ commitment to sharing world-class science. 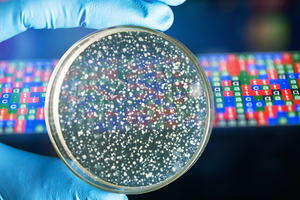 Use bioinformatics to explore DNA sequences and protein functions, to find the determinants of virulence in microbes.